Before the first wave of settler agriculture on the Great Plains, both here and across the border in the U.S., our ancestors had all but eradicated the largest and fiercest mammals: the bison, grizzlies and wolves. Like the indigenous peoples starved and swindled onto small reserves, wild grazers and predators would have to go before the open range cattle and sheep grazing of that early period could create a foothold for colonists. Although the native grass was still intact at the time (the mid to late 1800s), the sudden disappearance of these mega-fauna, and the plains hunters who managed the grass with fire, set in motion a cascade of ecological degradation that continues to be felt today on our remaining prairie landscapes. There was a greater devastation to come, of course, thanks to generations of farmers and the John Deere plow, but notice something that happens when you read the story-line in the preceding paragraph. True though it may be, this story divides prairie people into two camps. If you or your relations still live on the land, make a living in agriculture on hills and plains where once ran the bison, wolves and grizzlies, you get understandably nervous when this narrative is presented. Why? Because the other camp—mostly consisting of urban people, either does not care at all or, more dangerous, takes this story as the way things should be, the way things could be again. These facts of our ecological history on the plains form the premise that has led many urban environmentalists to dream of and advocate re-introduction of these important prairie mammals. 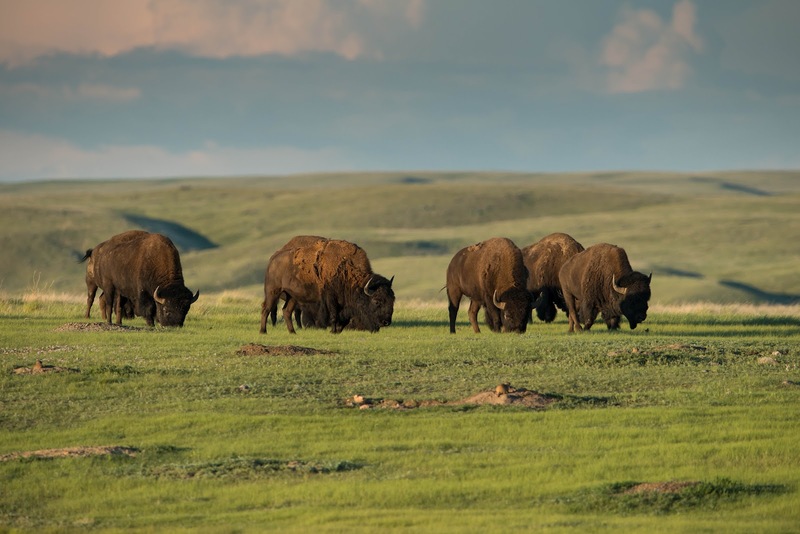 From the Buffalo Commonsproposed by Frank and Deborah Popper in the late 1980s to the more recent “re-wilding” movement, people easily get swept up in the romance of a restored prairie wildness. It’s an attractive idea until you stop to think about what this would do to the farmers and ranchers who have lived for several generations on the land to be re-wilded. City folks love the wild in theory until a great horned owl eats muffy or a moose walks through the deck doors. Few prairie people, urban or rural, native or settler, would be content living with grizzlies chasing herds of bison through the landscapes they tend. That does not mean there is not a place for bison restoration projects in conservation areas such as the American Prairie Reserve or Old Man on His Back, but any work done to restore elements of prairie ecology must involve and respect the needs of the people who make a living on and around our native grassland remnants. Meanwhile, there is a large and charismatic prairie creature that could be returned to the plains and fostered in the right habitat without endangering the life and property of rural people. I am thinking of the Whooping Crane. It has been gone from our prairie landscapes for so long that we are inclined to think of it as a northern species that merely passes through the plains. But large prairie wetlands were once the stronghold of the Whooping Crane. While it was never as numerous as the Sandhill Crane, the Whooping Crane did nonetheless breed here and there across the northern Great Plains, perhaps moreso in its northern reaches and in the Aspen Parkland in particular. 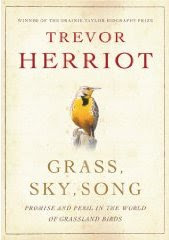 This graceful, heart-stirring bird deserves to be back on the prairie where it evolved and spent its summers for thousands of years until our European ancestors arrived in the footsteps of explorers like Hind at the end of the nineteenth century. With the arrival of thousands of farmers tearing up the ancient sods, draining wetlands and shooting every wetland bird large enough for the pot, the Whooping Crane rapidly thinned out. Almost a century later, their descendants living on the land are asking, why not bring the Great White Bird back and see if a prairie population could be re-established? Next week, I will recount the story of a large wetland where the last Whooping Cranes nested in Saskatchewan, and a group of people who want to see the birds back where they belong. with many wetlands recovering in recent years, is it time to bring back the Whooping Crane?